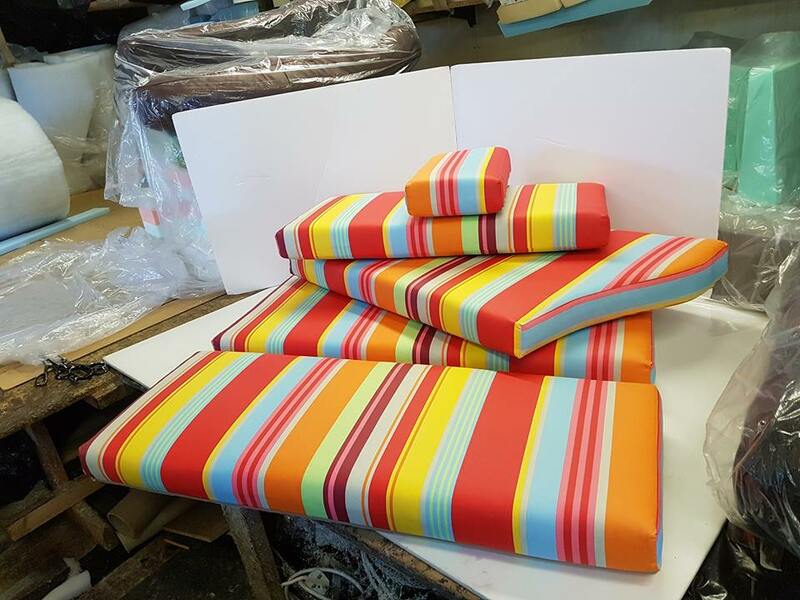 This week we have just completed this colourful set of boat cushions for a customer in Suffolk. These were made up in the fabric the customer supplied and we inserted a breathable underlining to prevent damp damaging the core. As the fabric is striped it’s important to use plain sewing and match up the pattern. As the original foam was in great condition we put them in new polyester wraps and a new stockinette under cover before inserting them into the custom covers.